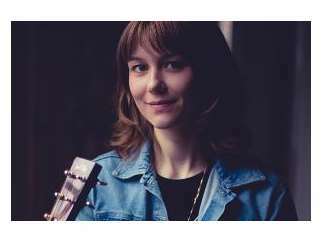 With over 2 million viewers on YouTube and features in Bluegrass Now, Flatpicking Guitar and Acoustic Guitar magazines, Molly Tuttle has been making a name for herself in the acoustic music scene. A virtuoso multi-instrumentalist and award winning songwriter with a distinctive voice, Tuttle has turned the heads of even the most seasoned industry professionals. Since releasing her first album at 13, she's appeared on "A Prairie Home Companion" and at Hardly Strictly Bluegrass. A sought-after collaborator, she's currently at work on her first solo EP.